Fulfilling their commitment to give their ever-loyal supporters a lot of treats this year, the Jordan Brand releases another stunning shoe that will surely get your attention. The Jordan Alpha Trunner, a shoe that hit strides last year because of its unique design, was released in a new colourway this month – the Cool Grey/White-Matte Silver. 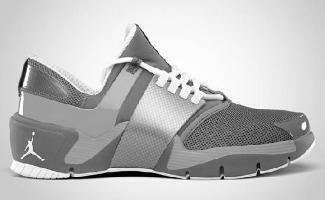 Like its earlier releases, the new Jordan Alpha Trunner boasts an elegant design with its v-cut ankle and mesh upper. If you are looking for a show for casual use, and training and running as well, then the new Jordan Alpha Trunner suits your needs so grab one now and you’ll definitely get what you are looking for. Check Out the New Jordan PTP’er!